Definitely an individual who lives his life by the adage carpe diem. Life is too short to have regrets. I would like to think I am kind and considerate while still been motivated and ambitious. My family are very important to me. I love to travel and see the world, experiencing new cultures in the process. I like to stay fit and healthy and enjoy the great outdoors. My favourite character traits are a sense of humour and a fun loving disposition but then I am a little mischievous!! eng9999 is a Male dating in Louth, Ireland. 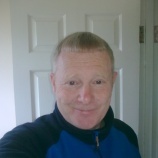 Check the description of this 49 years old profile, he is White/Caucasian and Catholic maybe this matches your profile description and you can both start dating in Ireland for free.